One trait I’d argue most whiskey enthusiasts share is an appreciation for the thrill of the hunt. Be it the search for rare limited editions, allocated favorites, long-discontinued “dusty” bottles, or possibly just finding the best prices in town, almost every single whiskey enthusiast I’ve met enjoys a bottle hunt. I’m no stranger to it either. In fact, when I’m out and about I often make it a goal to stop by bottle shops I’m unfamiliar with. While most of the time it’s the “same old same old,” on rare occasion I’m surprised with a nice Turkey find. A couple of months ago I stopped by a shop called “Bill’s Place,” a downtown corner liquor store situated in the not-so-best part of a Georgia town. Immediately after walking in, I knew something was different. This wasn’t your typical bottle shop. It felt almost lost in time – first and second series Wild Turkey decanters proudly displayed in store windows (bathed in sunlight, unfortunately), orange cap Old Grand Dad bottles sticking out like road hazard cones, age-stated “bottom shelfers” – everything seemed clean, organized, and well-taken care of. You can call old whiskey bottles “dusties,” but I’m here to say there wasn’t a quarter ounce of actual dust in the entire store. And then I met Bill himself, a proud and experienced shopkeeper from an era gone by. When I asked how long he’d been in business, he said his father started selling spirits from that location “legally” since the repeal of prohibition. 🙂 We talked about bourbons of old, looked at some Wild Turkey decanters together (don’t get too excited – he’s asking top dollar), and then he let me do my whiskey geek thing. He stood in amusement as I surfed through rows of inventory – turning over bottles, reading labels, studying UPC and laser codes – with every shuffle and clank I was as happy as a pig in the mud (and to Bill, I probably appeared that way too). All said and done, it was a satisfying hunt. I left a few bottles richer and enjoyed a slice of Americana in the process. And of all my discoveries that autumn day, my favorite was a stash of 2005 Wild Turkey 101 200 ml bottles. If you’re familiar with my blog you know I’m a fan of 2000’s Wild Turkey 101. Sure, it can be “batchy.” I’m not exactly sure why, but there was a hell of a lot going on at Wild Turkey in that decade – rickhouse fires, off-site barrel storage (Stone Castle), different bottling facilities, etc. The short of it is that WT 101 from the 2000’s has a less consistent profile than WT 101 from the 2010’s. But – that doesn’t mean it isn’t tasty. In fact, I’d argue that most 2000’s 101 bottles are notably better than modern 101 bottles. While I’ve reviewed a fair number of 2000’s WT 101 releases, I’ve yet to review a 2005 release. I guess now’s a good a time as any! Overall: Classic Wild Turkey. From nose to finish this whiskey showcases everything I love about 2000’s WT 101. Rich vanilla and honey-maple, musty/funky oak, and plenty of herbal and floral spice to balance the rich sweetness. It’s hard to believe that so much rewarding flavor can come from such a reasonably priced bourbon. Unfortunately, this isn’t the profile you’ll find in WT 101 nowadays. In all fairness, modern WT 101 is a damn fine pour for the money, but go back about ten years or more (provided a solid batch) and you’ll experience a remarkable profile. In summary, if you’re looking for a Wild Turkey 101 release with plenty of classic WT character, 2005 is an ideal year to pursue. But don’t feel like you have to pay a premium on a secondary market to obtain one. All you have to do is find a store like Bill’s Place. 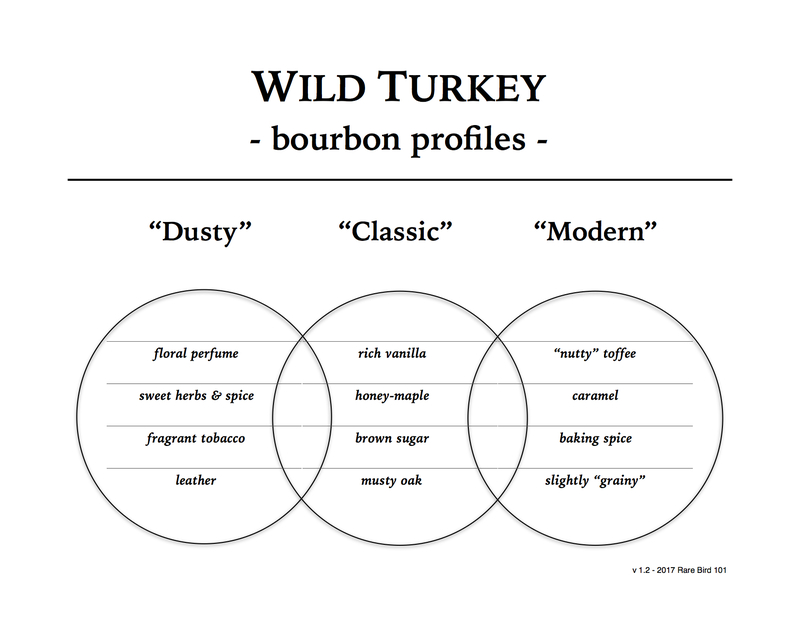 Sure it sounds easy, but keep in mind that Wild Turkey, while respected among seasoned enthusiasts, is still far from today’s popular consumer choice. I can’t tell you how many times I’ve walked in to an unassuming store and walked out with older Turkey expressions. It just takes persistence and a willingness to find places off the beaten path. I wish all of you luck on your holiday whiskey hunts. In the meantime, I’m off to pour another round of this ‘05 Wild Turkey 101. Cheers!